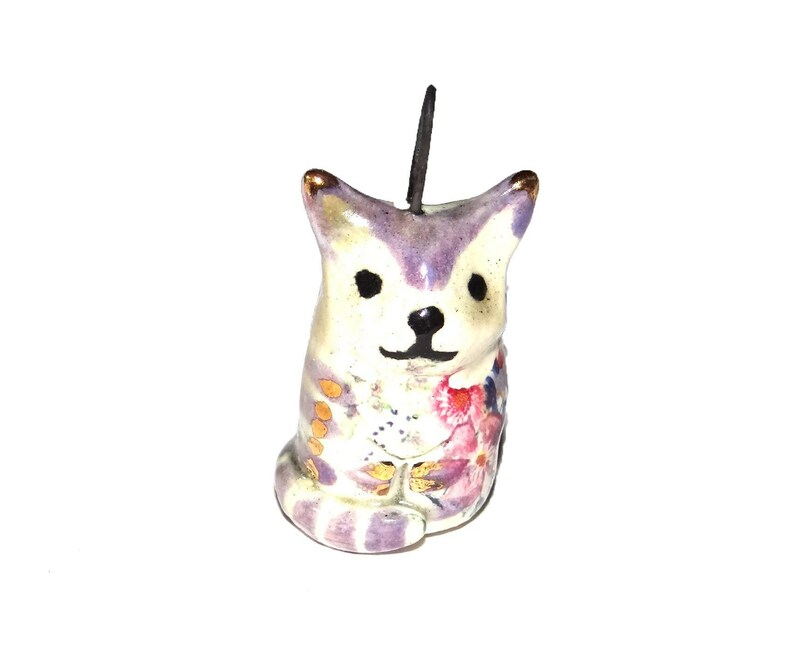 Ceramic cat pendant. Made with stoneware clay. Approx 40mm height. Decorated with floral decal and 24k gold luster. Fired 4 times...bisque, glaze, decal and luster.